Providing you the best range of mesh bag, shopping mesh bag, firewood mesh bag, leno mesh bags and leno mesh bag with effective & timely delivery. Aiming to satisfy our clients, we are offering a quality approved Mesh Bag. 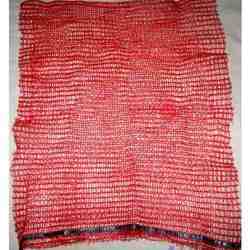 The offered mesh bag is used for packing of various agricultural products such as onion, garlic & potato. Our mesh bag is available in numerous sizes so as to meet the demand of customers. This mesh bag is quality by our quality inspectors on several parameters in order to supply flawless range to our customers. 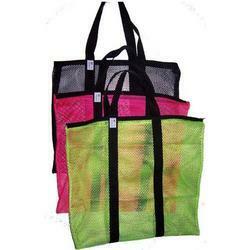 We are passionately engaged in offering an excellent quality Shopping Mesh Bag. The offered mesh bag is designed using high quality of material & leading techniques so as to fulfill all norms of industry. Also, this mesh bag is valued in the market for its superior finish & long lasting strength. We offer this mesh bag in various sizes & customized options in order to meet various requirements of customers. 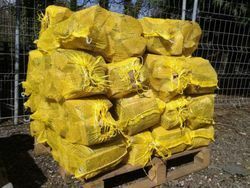 As a benchmark of this industry, we are engaged in offering a supreme quality Firewood Mesh Bag that is ideal for wood packing and firewood. This mesh bag is checked by quality controllers on numerous parameters in order to ensure its excellence. Offered mesh bag is precisely manufactured from the best quality material and latest techniques in adherence with the set norms of market. Customers can avail this mesh bag from us at nominal prices. Owing to the dedication of our sedulous professionals, we have renowned a reputed name in manufacturing, trading and wholesaling Leno Mesh Bags being permeable allow the air to pass through the bag which help to keep the product fresh. 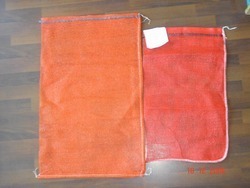 The offered leno mesh bag is used for packing of various agricultural products. We provide this leno mesh bag in various customized options as per the customer’s choice. The leno mesh bag offered by us is checked on numerous parameters in order to eliminate all possible flaws. We manufacture as well as supply Leno Mesh Bag that features open weaved polypropylene fabrics finish, which allows air circulation around the product that is packed in the bag. 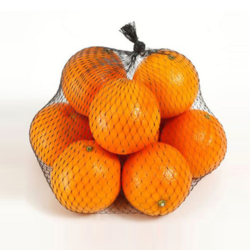 These leno mesh bags are made available with drawstring closures and are widely used for meeting the packaging demands of products like onions, cabbage, corn as well as citrus fruits. Providing proper ventilation, the use of these bags ensure vegetables and fruits placed inside remain fresh for longer period of time. Looking for Mesh Bag ?